I am still loving the shaker card fad. On this one, I used a die from PaperTrey Ink and cut it numerous times to make all the parts and pieces. 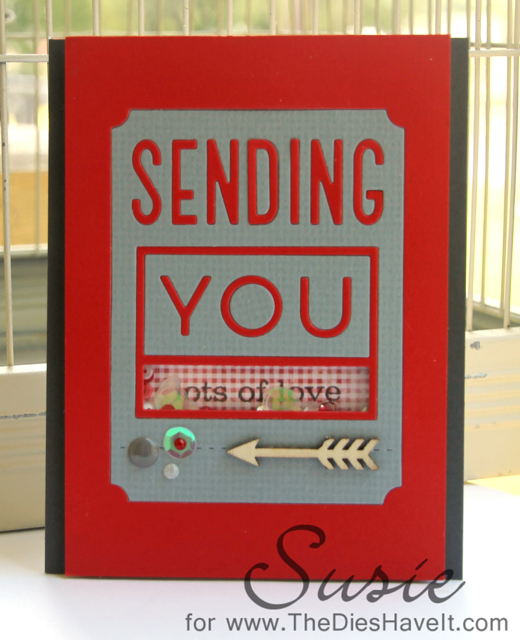 I added just a small piece of patterned paper behind the shaker and stamped LOTS OF LOVE on it before adhering it. I've been also falling in love with wooden arrows lately, so I had to add one here too.